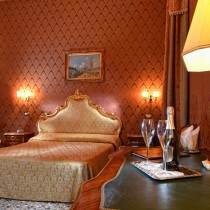 Special discount for minimum 3 nights stay in “Residenza San Maurizio”, in elegant room with a refined eighteenth-century Venetian style, padded by comfort. Non refundable rate. Do not miss the oportunity to stay in Venice at a special price!! !